5 stars. An inspiring Dutch heritage landmark at the most prestigious address, the Waldorf Astoria Amsterdam is an architectural masterpiece and an exclusive luxury hotel. An intimate hotel with views over the canal and its garden, Waldorf Astoria Amsterdam serves as an exceptional retreat in the heart of a storied and unforgettable destination. 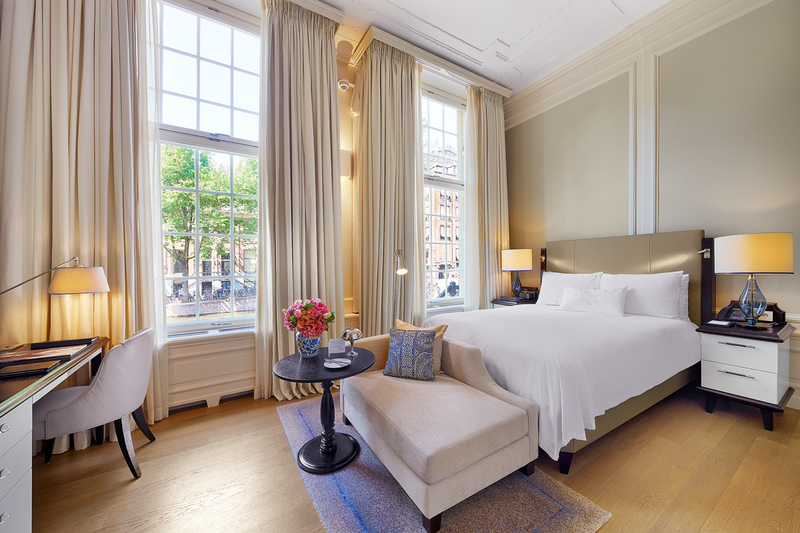 Waldorf Astoria Amsterdam comprises six historic double-front canal palaces, built in the 17th century’s Golden Age, that have been converted to create the hotel. • Brentano – The Brentano House was originally built in the 17th century and was bought as a family home in 1753 by Josephus Brentano, a Dutch merchant of Italian origin. • Sautijn – This house was built in 1672 for Mayor Willem Sautijn, merchant to Italy and the Levant, in a Classicist style. 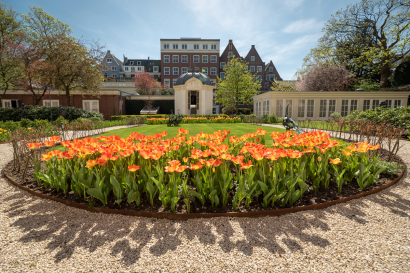 • Marot – This house, where you will find the entrance to the Waldorf Astoria hotel, was built in 1665 for Cornelis Backer, a member of the prominent Protestant Backer family. • Hooft – These houses were originally built in 1665. Hendrick Hooft, a scion of a very important patrician family, built and lived in the house. • Kemp – In 1665 Joost Kemp, Lord of Kerkwijk, had this house built from sandstone, a luxury building material at the time. • De Wildt – The house was decorated around 1780 by this top family in the city. Completely renovated in 2014. Interior and Architectural Design agency GA Design. • The heritage of the six 17th and 18th century canal palaces breathes through 93 exquisite rooms with scenic views of the canal or private garden. 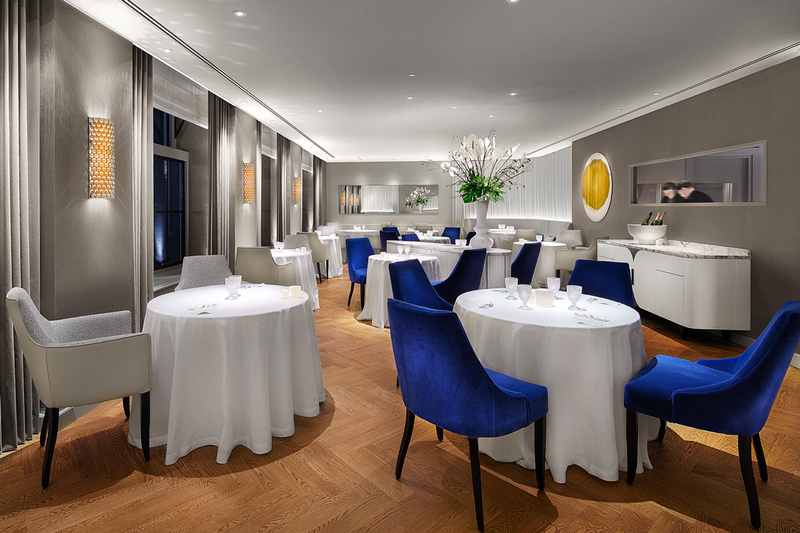 • Exquisite dining options at award-winning Spectrum, elegant Goldfinch Brasserie, Peacock Alley and intimate Vault Bar. 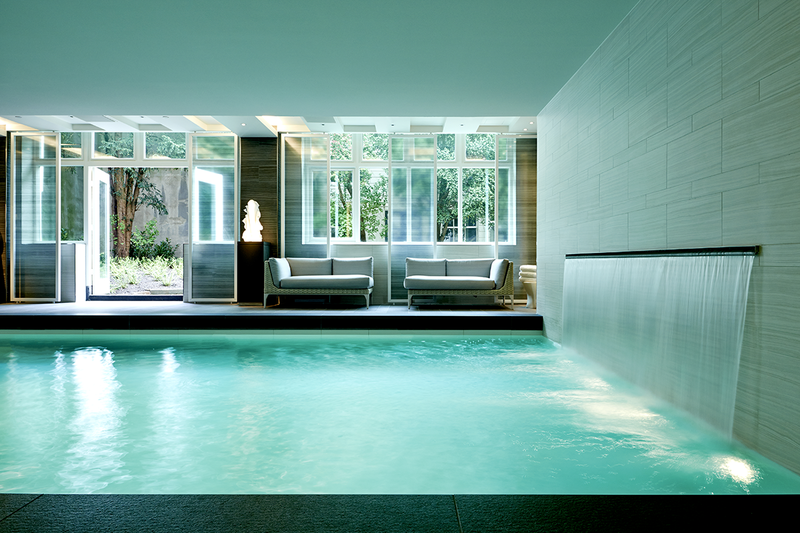 • The alchemy between beauty expertise and therapeutic know-how is at the heart of Guerlain Spa’s holistic and restorative treatments. 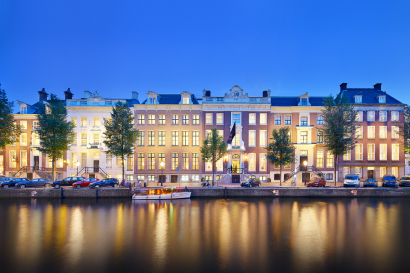 • Located on the prestigious Herengracht, the opera house, museums, fine shopping, and dining are all within walking distance of the hotel. • Highly anticipatory, authentic and bespoke hospitality and service, the True Waldorf Service, with a Personal Concierge assigned to every guest. Elegantly perched on the Herengracht, offering an unmatched location in the heart of Amsterdam, right on the canals. Centrally located within the city and easily accessible by car and public transport, located 20 minutes from Schiphol Airport. Babysitting and childrens services available. 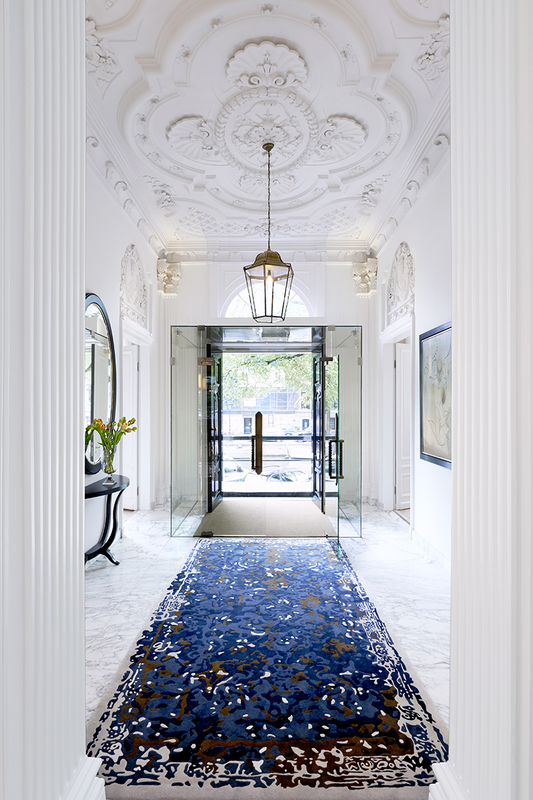 • 4 special Suites (Brentano/Van Loon/Backer/Roëll). 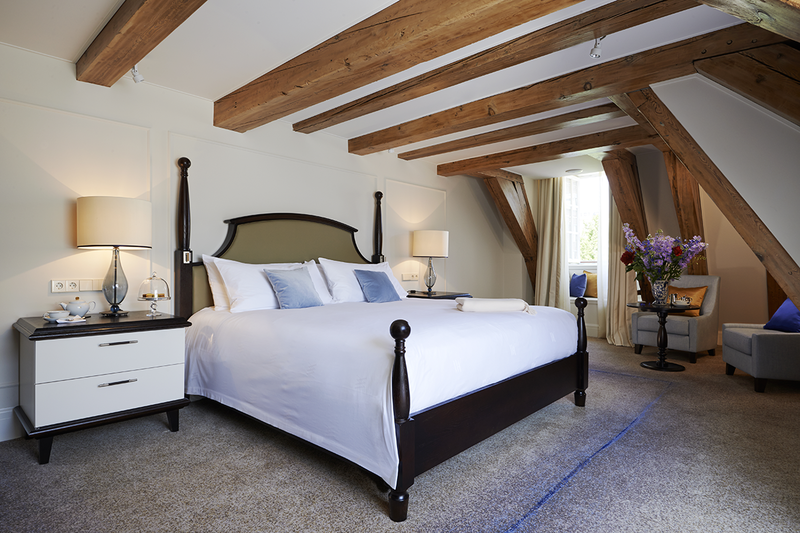 • “The Van Loon Suite offers direct spa entrance and our 132 m2 5-bedroom Brentano Suite is our largest suite. There are 32 connecting rooms” – the Brentano suite is 123m2 and does not have 5 bedrooms, but one bedroom, one bathroom, one living room, one dining room and one study room. Awarded by two prestigious Michelin stars, Spectrum redefines the meaning of culinary excellence. 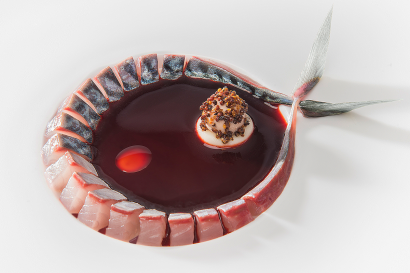 Let yourself be guided in a voyage for the senses with one of the tastefully thought-out course menus or choose from any of the à la carte culinary marvels. 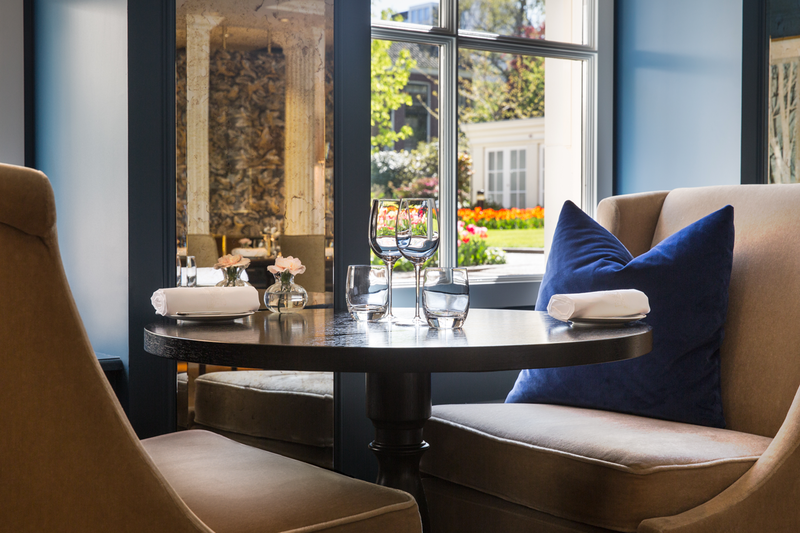 Goldfinch Brasserie’s philosophy relies on a genuine fondness for great food and great wines. 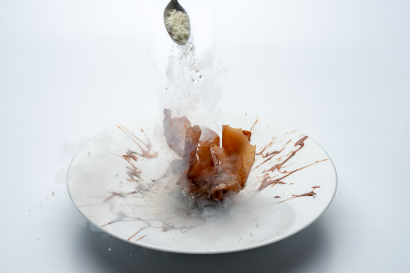 Executive Chef Sidney Schutte & Sous-Chef Tomas Bron bring a contemporary edge to a tempting menu of classic and favourite dishes. With peaceful views over the private garden, the comfortable setting of this modern venue is ideal to indulge in a two, three or four-course experience or choose from a seasonal à la carte menu. A place to see & be seen. A grand Waldorf Astoria tradition, Peacock Alley displays an intimate yet lavish setting in the heart of the lobby. For breakfast, lunch or dinner, the indulgent menu creatively combines Waldorf Astoria signature dishes with the finest international cuisine. 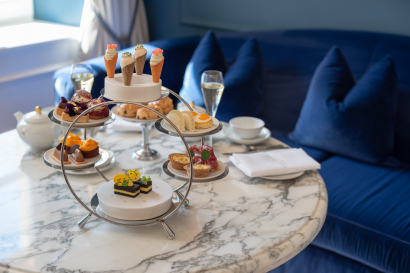 The assortment of delicate sweets beautifully laid-out on the centred marble table exquisitely complements an all-day tea & coffee service. A contemporary Afternoon Tea is served daily from 15.00 until 17.00, with live piano music on Wednesday to Sunday. Nestled in the heart of the Waldorf Astoria Amsterdam, The Vault Bar is Amsterdam’s most unforgettable cocktail destination. 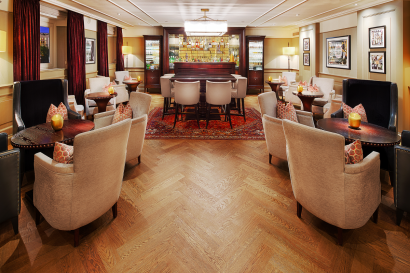 Anchored in history, the sophisticated décor of the Vault exudes the timeless ambience of an elegant speakeasy bar that will surprise by an avant-garde selection of cocktails. Creativity only defines the boundaries of this contemporary cocktail bar, which yet still showcases the original bank lockers. • Be pampered by the flawless service of highly trained therapists in a stunning environment brushed with calming tones, elegant décor and peaceful views over the lavish private garden. • The magnificent Guerlain Spa extends beyond its private treatment rooms. Soak in the swimming pool after a workout in the fully equipped, modern fitness centre, or cool down in a peaceful relaxation room after enjoying the heat of the wooden sauna or steam bath. • The Guerlain boutique offers a selection of make-up, perfumes and skincare products, including signature products and candles that are exclusively sold at the Guerlain Spas. • Private canal boat tours, accessible via our own boat jetty in front of the hotel. 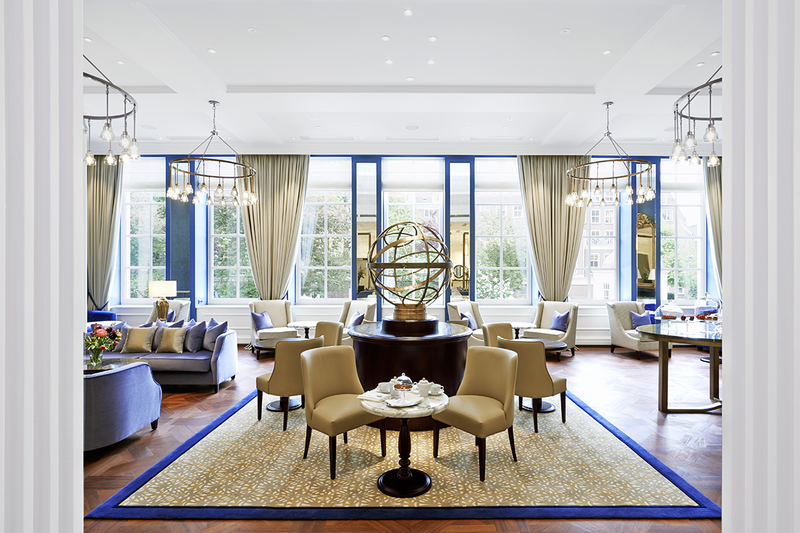 • Waldorf Astoria Amsterdam won TripAdvisor’s 2016 Traveller’s Choice Award for the Luxury category in The Netherlands. 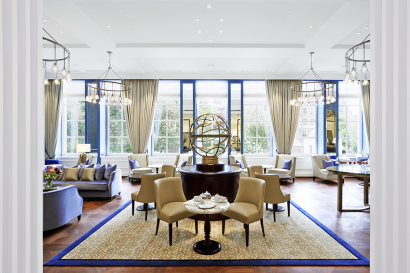 • Waldorf Astoria Amsterdam is a Booking.com 2015 Guest Review Award Winner. 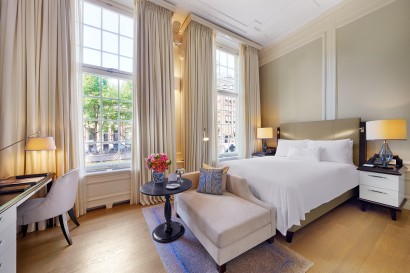 With an overall guest review score of 9.3 out of 10, Waldorf Astoria Amsterdam scored the highest out of all give star properties in Amsterdam.